This holiday giving season, I’d like to encourage you to give your neighbor half the cash in your savings account. Imagine you’re among the world’s poorest: you’ve never had enough for your family, let alone to spare. But today, for the first time, you will become a giver, and you will give your neighbor roughly half your wealth. Can you even fathom what that might feel like? I have witnessed this happen, and it’s one of the most powerful things I have ever seen. A hallmark of our model is Passing on the Gift®. While it may sound ludicrous to ask you to give half your wealth to someone else, it’s precisely how our projects work. 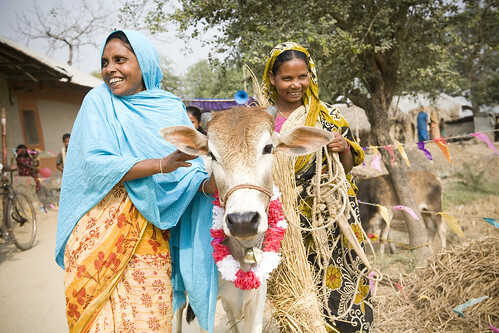 Every family who receives a farm animal from Heifer must commit to giving the first female offspring of that animal to another family in need. It’s at the heart of Heifer founder Dan West’s original concept for solving the hunger faced by families around the world, and it’s how we have managed to serve 20.7 million families since 1944. In the nonprofit sector, the focus tends to be on the beneficiaries; how our donations and hard work make their lives better. At a Passing on the Gift ceremony, that notion is flipped on its head. While the people receiving new gifts of livestock are certainly grateful – they have undergone training and prepared their farms, and this animal is going to improve their lives – I have learned that the people to really watch are the givers. 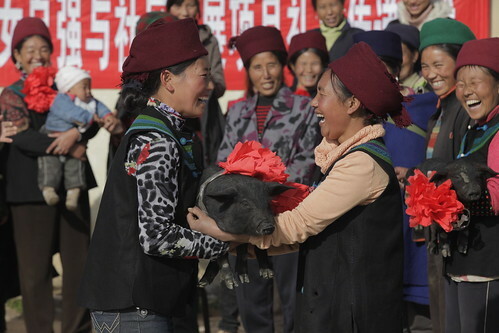 In my three years with Heifer, I have had the honor of attending about two-dozen Passing on the Gift ceremonies. Every single time, I am amazed to see people and communities who have so little compared to Western standards giving away their livestock’s offspring. And truly, for many, this amounts to half of their wealth. They do this willingly, graciously and often many more times than required. As you’ll see in the slideshows, the moment participants hand over their animals to the recipients, a palpable transformation takes place. Where once they were unable to meet their own needs, they now have enough to give. They are no longer beneficiaries; they are donors. The thought of giving away half their herd or flock is not a source of stress; it is a source of satisfaction. The pride of these new donors is radiant. I will never tire of being part of these Passing on the Gift ceremonies. They are the embodiment of the spirit of gift giving. Let’s carry that spirit with us into #GivingTuesday this year. Edior's Note: Original post first appeared on Huffington Post Impact. 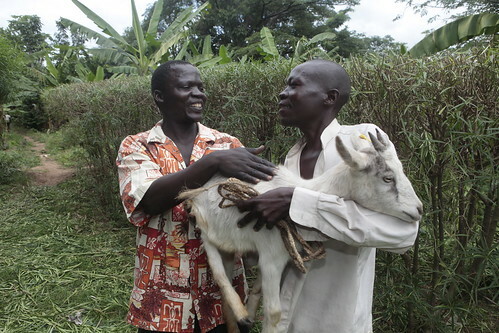 "2015: A Year for Ambitious Decision-Making"
"Happy Holidays from Heifer International"
"On CNN: How to End World Hunger"